Toolsbuff.com offers you this quick solution to become table one compliant under the new OSHA Silica dust regulations, you can get everything you need to do Tuck-Pointing on concrete with this bundle. 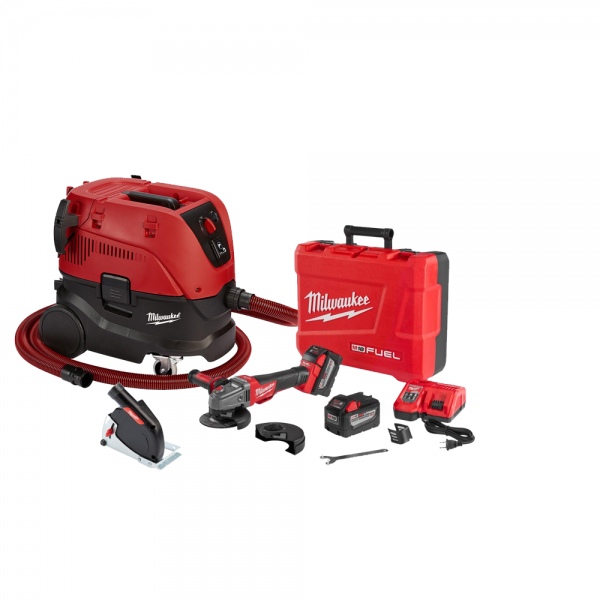 It includes the 8960-20 8 Gallon Dust Extractor, the 49-40-6110 Cutting Dust shroud and the 2783-22HD M18 Fuel High Demand 4-1/2 to 5" Braking Grinder Kit. 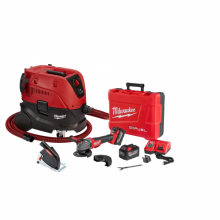 Click the button below to add the Milwaukee 8960-20 With 49-40-6101 & 2783-22HD 8 Gallon Dust Extractor Silica OSHA Starter Kit - Tuck Pointing to your wish list.